Hello Hello! Bentley Motors this week has announced a new range of accessories. In an interesting move that surely highlights the popularity of accessory after market companies such as Mansory and the like Bentley has introduced striking 'Vented Wings' available for the Bentley Continental GT and GTC. 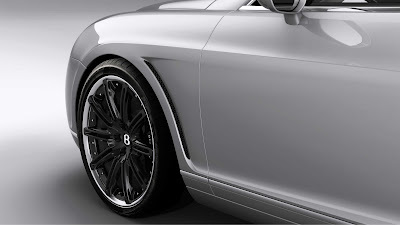 "Styled by Raul Pires, Bentley’s head of exterior design, the sleek, vented wings further emphasize the Continental’s sporting lines. Positioned to the rear of the front wheel arch, the vents are cut into a newly tooled wing panel and feature a black mesh finish. An alternative chrome mesh is currently under development and will be available in early 2010. This accessory will also be offered on Continental Flying Spur models." In addition there was the introduction of new Self-Levelling Wheel Badges for Arnage, Azure, Brooklands and Continental cars. 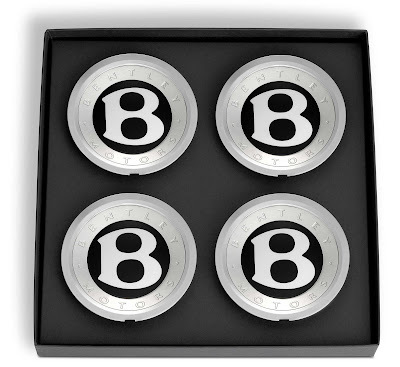 "The badges fit into the centre of the wheel and feature Bentley’s classic ‘B’ symbol surrounded by the ‘Bentley Motors’ script and remain completely level and upright at speeds of up to 70mph (112 Km/h). Once the car comes to a halt the wheel badges will also automatically self-level." Also there is a new car cover that you can personalise. 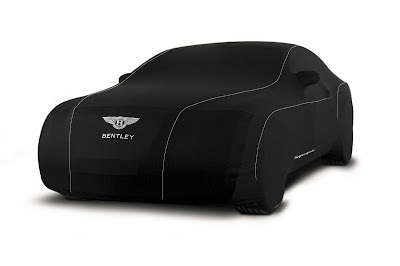 "Offering excellent indoor and outdoor protection (and tailored to specifically fit each model) Bentley’s branded Car Covers are now available for the Continental Supersports and Series 51 GT and GTC models. The covers are branded with unique Supersports and Series 51 logos with the name of the model embroidered on the side. In addition, Bentley is now offering Continental GT, GTC and Flying Spur customers the opportunity to personalise their indoor car covers with their own bespoke text – for example, a cherished registration number." I wonder how many people will want them retrofitted.